As expected, Motorola has officially announced Android 9 Pie update for the Android One-powered Motorola One Power. The phone was launched with Android Oreo, and the company has skipped the Android Pie beta for the full release. Android 9 Pie was officially released in August and is currently available for Google Pixel devices, OnePlus 6, Sony Xperia XZ3, Essential Phone and a slew of Xiaomi phones running MIUI 10. 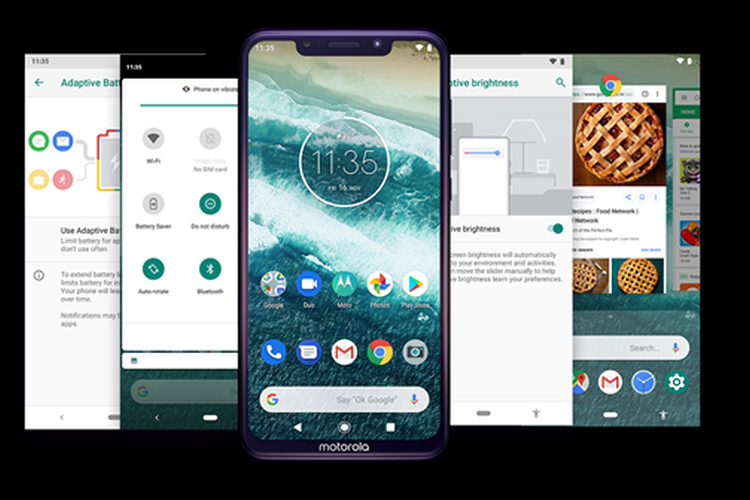 Just like on those phones, the Android Pie update for Motorola One Power brings improved battery life, thanks to the Adaptive Battery feature which is standard in Pie. This helps the device allocate power intelligently to apps that users use more frequently. The update also brings the redesigned Quick Settings page, the new Overview screen with improved multi-tasking, revamped featured such as Do Not Disturb, Gestures and more. The update will be rolled out in stages in the next few weeks and it should devices soon. Of course, the Android Pie update doesn’t change the hardware of the Motorola One Power. In our review, we thought the device’s plain and bulky design, mushy buttons, the slow fingerprint scanner were obvious disadvantages. Having said that, the bright display and excellent battery life should complement the Android Pie update very well. In its price range, you will also find the ZenFone Max Pro is feature packed and brings the same amazing battery at a lower price, although it doesn’t have the best cameras. There’s the Redmi Note 5 Pro, which brings all the features, decent cameras and good battery life. Then, there’s the Mi A2, which has the best cameras in this price range although it too has its flaws. Lastly, there’s the new Realme 2 Pro, which brings a much nicer design, some decent cameras and great performance at a lower price.